As an innovated manufacturer of convenience and security products for residential & commercial access solutions. Force has over 10 years experience in the automtic door field. 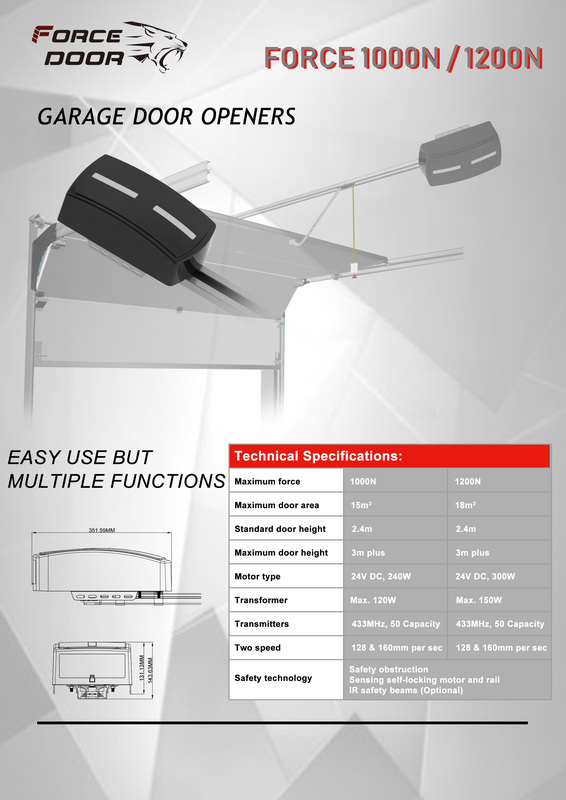 Force garage door opener - Innovated housing design, safety protection, quick speed for opening/closing,lower stand -by power ,and low noise rail driven. We are committed to quality products,innovative designs and comprehensive services, which exceed our customers' expectations. We put quality at the forefront of everything we do, understanding that each of us is accountable and committed to continually improving the effectiveness of our Quality Management system and achieving quality objectives. CE-EMC,CE-LVD,CE-MD,CE-RTTE,C-tick(N14939)certification approved. As a testament to our commitment to quality, we provide "5 year motor warranty,3 year general warranty". Do not hesitate to contact us for a quote, questions or personal introduction of our products.